Last year Cleveland unveiled the Smart-Square putter, based around the idea that squares were better alignment tools than the circles used on other putters. No matter what side was taken on the issue of its uniqueness, the Smart-Square not only garnered talk, but also a solid amount of play by amateurs who gave the squares a chance. This year Cleveland is continuing on with the “Dual Axis Alignment” ideology and expanding the line to include the Smart-Square Blade. Two squares are better than two circles. The Smart Square putter will help players of all abilities discover easier, more consistent alignment. Dual Axis Alignment technology provides players with 23% more accurate alignment and will encourage confidence from anywhere on the green. The Smart Square Blade provides golfers with the same technological benefits as the original Smart Square in a sleek and compact blade shape. The Smart-Square Blade will be both familiar and different to those who have seen and used the mallet model released last year. The eyes obviously focus most on the square alignment aids of the flange which are the key to the “Dual Axis Alignment” Cleveland touts, but with this new blade model a significant amount of mass has been removed on the extremities of the head. Essentially there is less front-to-back mass on the outside portion of the face as well as less material on either side of the alignment flange, which in turn makes the squares even more of a focal point. The “blade” portion of the putter is without a doubt a much smaller overall footprint to the eye, but with the size and shape of the dual square alignment flange it clearly doesn’t look like what is considered a traditional “blade” and will feel much more like a mid-mallet to most. For this expansion of the Smart-Square line, Cleveland obviously wasn’t going to try and reinvent the wheel. Instead they stuck with what they had established prior. 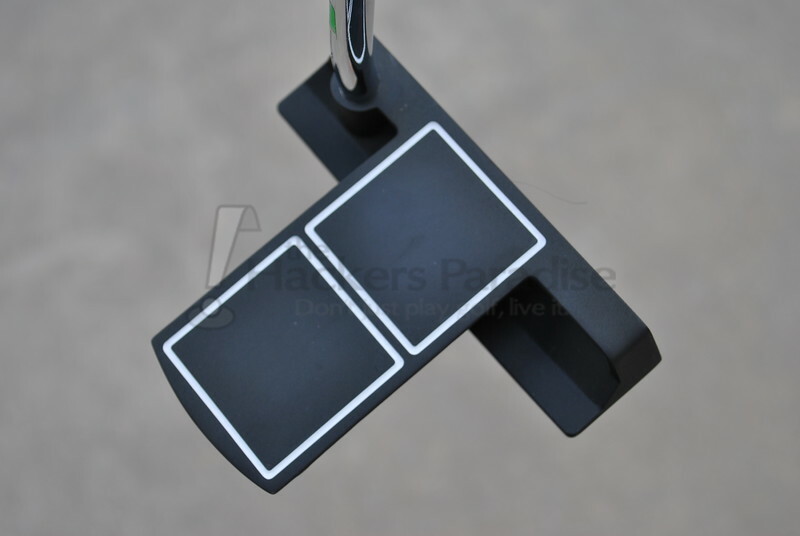 The putter features a matte black finish that is effective at preventing glare at address as well as providing a stark visible contrast to the bright white outline of the square alignment aids on the flange. The sole is finished in a combination of gloss and matte black and features the loft, lie, and weight of the Smart-Square Blade. Cleveland has used only black, white, and gold paintfill accents, which continues the stealth/minimalistic look that leaves all focus to the squares and eliminates distractions. The basic principle behind the “Dual Axis Alignment” which the Smart-Square line features is that the combination of parallel and perpendicular lines from dual squares serve as a multi-purpose alignment setup, both for aim as well as overall setup position and face angle. As with the mallet version, testing showed that the squares do their intended jobs very well. The lines that run parallel to the ball give a clean visual cue as it pertains to aligning the putter towards the target effectively and repeatedly. 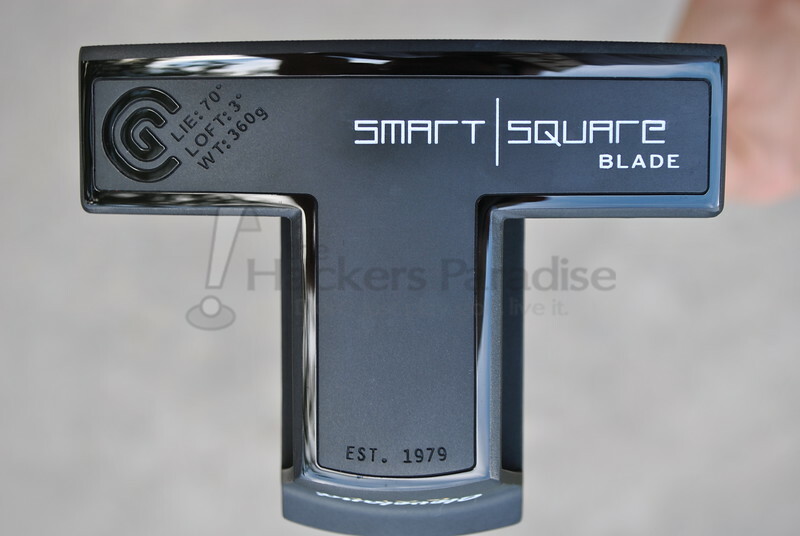 As was seen in the review of the mallet version, the perpendicular lines of Smart-Square Blade might be the most effective alignment aspect as they provide impressive feedback of the face angle at setup, as they appear slanted if the putter is set up open or closed at address. The fact that the two squares are merely outlines and not filled in is what allows the “Dual Axis Alignment” to work as effectively as it does. Little things are often the most effective things when it comes to design features like this, and the Smart-Square setup is no different. The Smart-Square Blade is a double bend putter setup which allows for the entire club to remain face-balanced as it pertains to toe-hang. Despite the unique shape, the balance of the putter throughout the stroke is very solid. 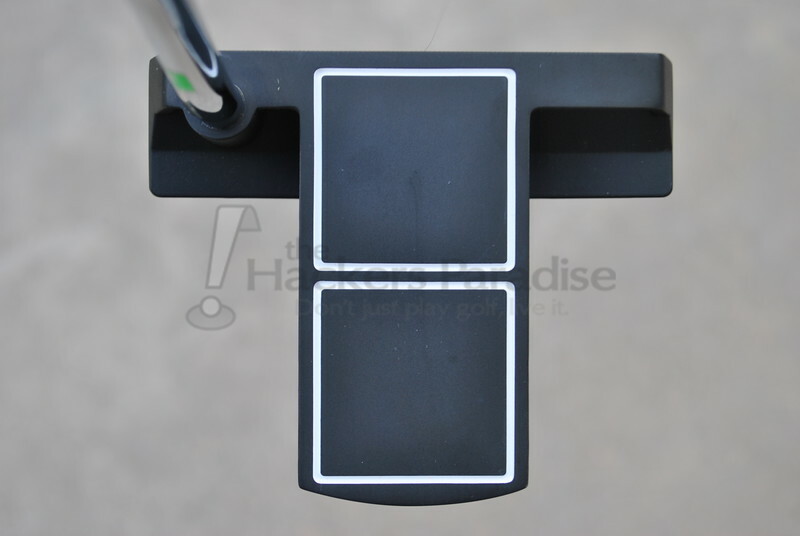 It flows freely throughout and twisting was never an issue after testing putts all across the face. The head weight of 360g is a major factor in that balance, as it walks the line of being slightly heavier without being cumbersome throughout the stroke. Cleveland has clearly found an insert that they are going to embrace and continue utilizing. 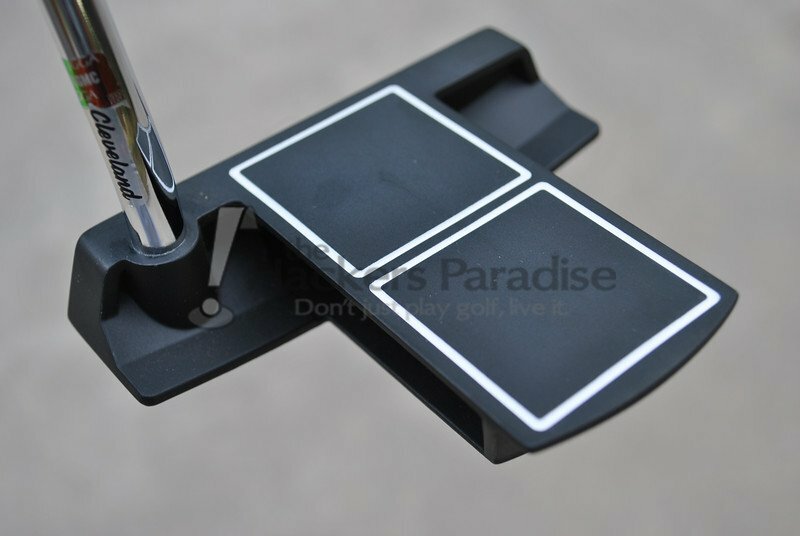 Not only is this the same insert that was in the prior Smart-Square mallet, it is also being used in the new Classic putter lineup as well. Inserts are always a much trickier subject matter than milled putters, as people are even more finite about what they like or don’t like. Cleveland has managed to produce an insert that has a plush sound/feel while maintaining a consistent forward roll. Though a solid tone, the copolymer insert has “click” to it that allows ample feedback at impact. Overall, it is a well rounded insert and it is very nice to see Cleveland sticking with it. 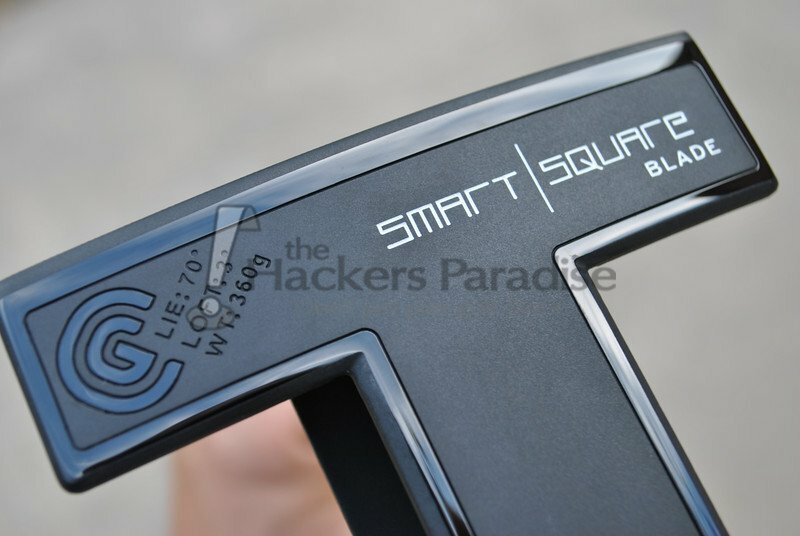 As with the mallet release, the biggest issue that Cleveland’s Smart-Square Blade putter will have is just people putting it in their hands to try out. If they do however, they will find an alignment system that really does stand up on its own and works quite well. Many will still hang back on the argument of where the base idea came from (squares vs circles), but the fact is that the squares not only help aim at the target itself while presenting a face-angle aid that could truly be of significant benefit to amateurs. The key though is just giving it a chance. 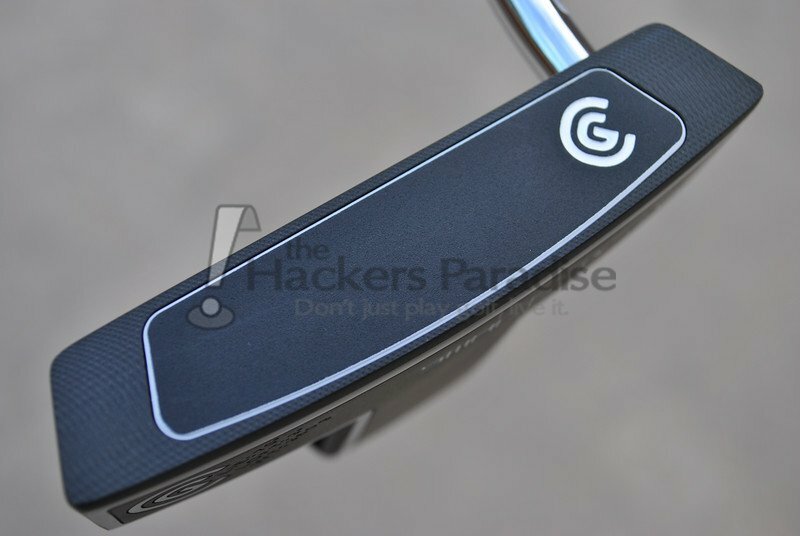 The Smart-Square Blade putter has a price point of $139.99 and for more information be sure to check out www.ClevelandGolf.com. Great review. I messed around with the previous model during a demo day and your right about getting people to put it in their hands. I was skeptical at first but found it an easy to use putter and made alignment easy. I think,this is going to get some play this from me. I’m impressed with this putter and looking forward to giving it and the original one a go. The fact that it helps alignment plus is designed to keep the putter from twisting at impact is a win/win for me. I still haven’t had a chance to roll one of these or the previous model, but the reviews are positive, so I will keep an eye out for them. Well done, James. Nice review here James! I was a bit put off when I saw the photos but can admit that this looks better in person. Add an alignment line to this one and I would give it a fair go. Just reading this review I’m not sure I could get use to the squares as my spot. Good review but I’d have to give this some really practice time to see if I could get use to the look. I think I’ll wait a few years for the “Quad Alignment Technology”. This new technology is still in it’s infancy.